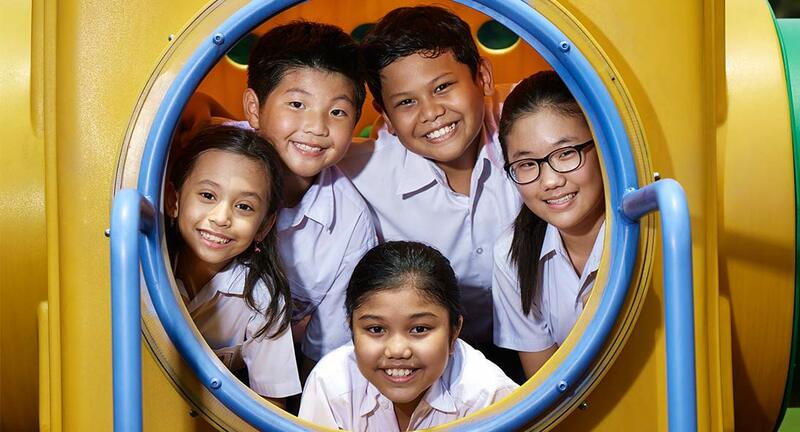 ACS Jakarta is an International Baccalaureate World School and an authorized Cambridge Centre offering a world standard education to children from 3 - 18. Set in a safe, semi-rural environment located off the Jorr Tol at Kelurahan Setu, approximately 15 kilometers south-east of central Jakarta, it is within easy reach of Jakarta 's main residential areas in South and North Jakarta. 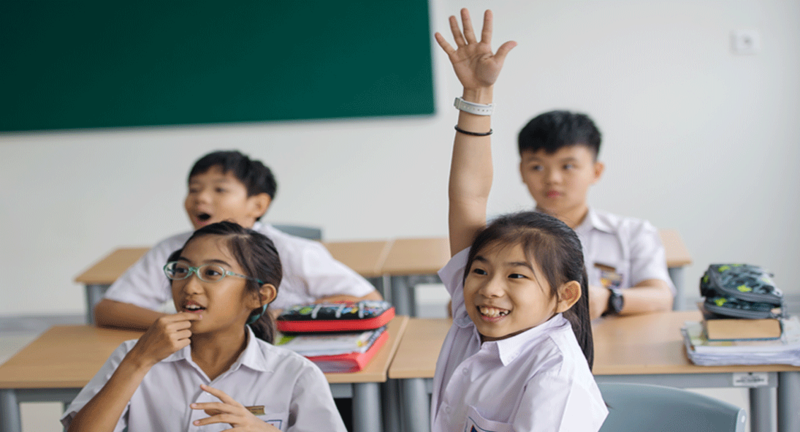 We believe in bringing our students to their full potential and by preparing them for their next stage in education by offering a well-rounded and challenging curriculum. Our children also learn the importance of having good character and values via our devotions and our pupil development and religion lessons. Our Kindergarten students focus on personal, social and emotional development, giving them more self-confidence and independence preparing them for Primary School. They also get the basics of language (English, Indonesian and Mandarin), and mathematics. Our Primary School students continue on this development and they are also guided along towards the Cambridge Checkpoint at the end of Grade 6. By doing so, this gives them as sound foundation for Secondary School. 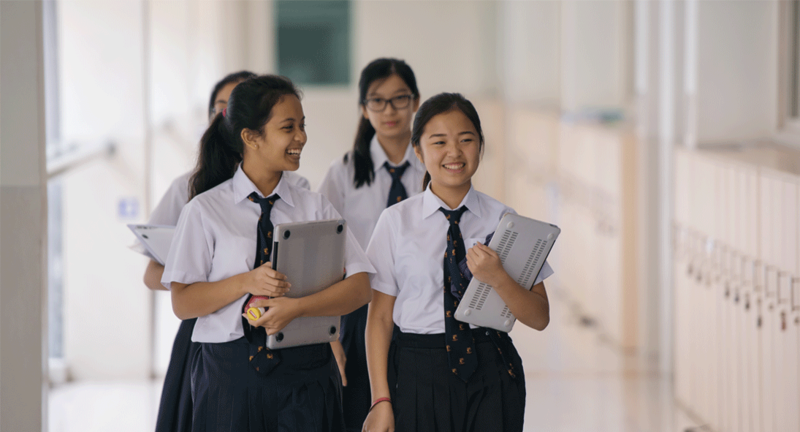 Our Secondary Students begin as generalists, getting a good grounding in a wide range of subjects before specialising slightly as they embark on the Cambridge International General Certificate of Secondary Education (IGCSE) programme in Grades 9 and 10. 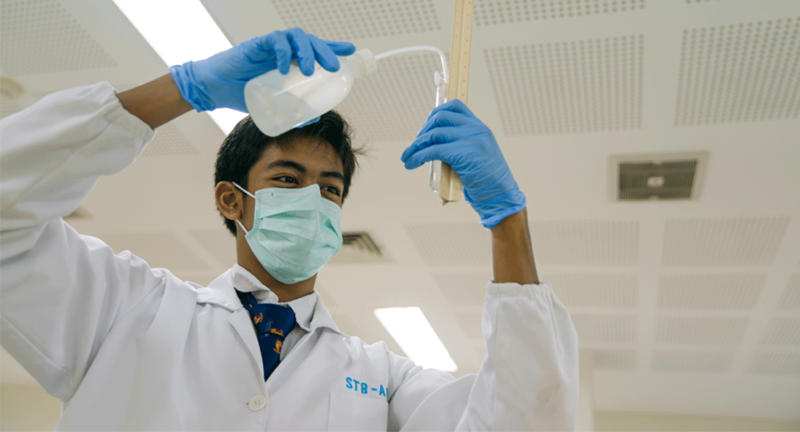 Students opt for subjects based on their interest, aptitude and advice from their teachers. The culmination of their years here are in Grades 11 and 12 as our students prepare for university by taking up the International Baccalaureate Diploma Programme. Students further specialise here and are also mentored as they gain not just content but also skills which are vital for university education. Students throughout the grade levels may take part in Co-Curricular Activities after school. This, together with camps, excursions, sports and cultural activities the school organises, will give our students a 21st century education which is not restricted to the confines of the classroom.